In their first encounter, these three veterans of the European improvised music engage in a variety of open and meaningful musical discourses. Far from the crude, cliché-ridden scenarios, each piece unfolds as a unique story of spontaneous confluence, surprising and unavoidable at once. 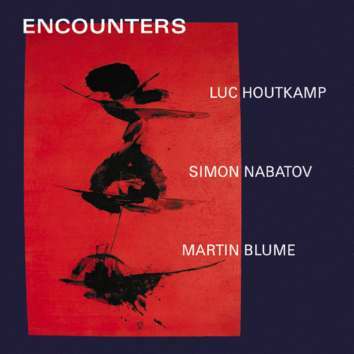 The always expressive tone of the Dutch saxophonist and composer Luc Houtkamp often leads and propels the proceedings. The Russian-born pianist Simon Nabatov carves dramaturgical points with a multitude of textures, showing, from time to time, the propensity for the thematic approach. And the German drummer Martin Blume underpins and complements with elegant flurries, raucous explosions, clever stop-and-go's and tender brush work.